The Prime Minister of Greece, Alexis Tsipras gave some optimistic statements about the outcome of the negotiations, but that seems is not enough for the Greek people. 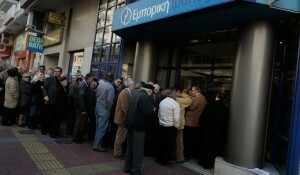 Today, in less than twenty four hours, they pulled back more than one billion euros from banks all over the country. Two weeks is all the time Greece has in order to come to an agreement with the euro zone partners and avoid the worst. Financial market experts believe that the authorities will soon be in a position to bring in controls in order to prevent savers from emptying the banks completely. The European Central Bank is keeping Greece in life by providing emergency funds. A phone call conference was held earlier today in order to figure out how much more money is needed. What is even more disturbing is the bigger picture. After last weekend, and the failure of the negotiations for the time being, savers in Greece pulled out from the banks over three billion euros. Bank reports from the end of April show that the amount pulled out in the last few days represents 2.2 percent of all of the household and corporate deposits in Greece. These numbers are not official though, so they must be taken with some reserve. The loan payment of 1.6 billion euros that Greece must pay till the end of the month is a heavy burden. If official Athens doesn’t make it, they will become the first country in the euro zone to go broke. Furthermore, it would mean that they will be ruled out of the zone and the single currency. The list of demands by the IMF and the euro zone creditors a few weeks earlier was instantly rejected by Alexis Tsipras. He believes that to impose tax hikes and spending cuts, particularly to pensions, would be a two blades sword. “This is one the worst, if not the worst economic depressions in modern era. I have no doubt, that these demands, if realized, would only sink us even deeper in the pit.” –he said. 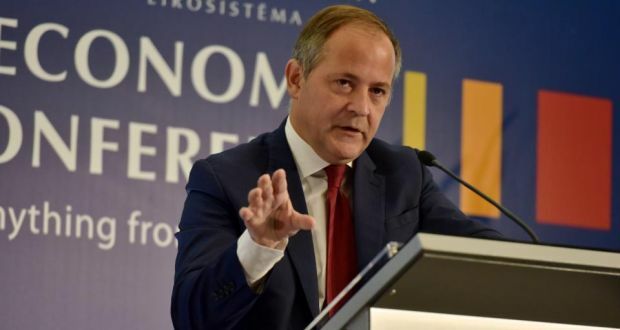 An emergency summit of the currency zone leaders is scheduled this Monday, and the Greek Prime Minister is convinced that this is a positive sign that shows that a deal is on its way.“We will come to an agreement and rise above this problem. A solution which is based on the basic principles of the European Union and democracy is out there, and we will find it. Greece will return stronger and all of those who are betting and hoping for a terror scenario, will be sad “– said Alexis Tsipras. On the other hand, Brussels officials are not so convinced that a positive outcome is real in any field. ECB executive board member Benoit Coeure expressed his concern to the finance ministers about whether the banks in Greece will work next week. “Tomorrow, I believe they will work. Next week, who knows, anything is possible. 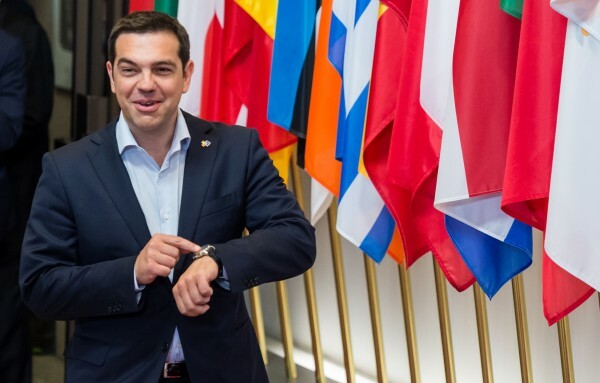 Also, no grace period will be given to Greece for the 1.6 billion payments they must make till the end of the month. Look at the situation this way, its eleven o’clock and Athens officials must react and make a deal before it’s too late.